Exporter of a wide range of products which include xylocaine ointment. 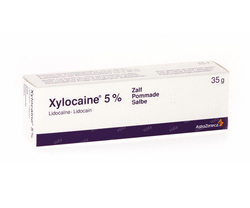 We offer an effective range of Xylocaine Ointment to customers. The offered medicines are used to reduce pain or discomfort caused by skin irritations. To keep its quality intact, our offered range should be stored at room temperature.